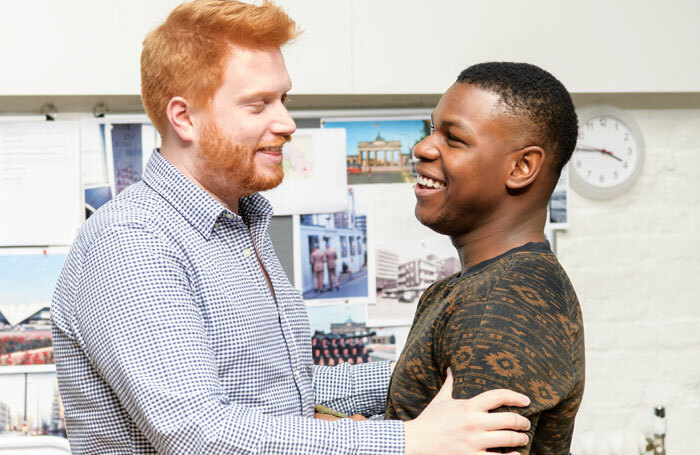 Just eight years ago, John Boyega was a budding young British stage actor, playing a small role in Roy Williams’ Category B  at north London’s Tricycle Theatre. Now, still only 25, he’s returned to theatre for the first time since then to play the title role in Jack Thorne’s new version of Georg Buchner’s Woyzeck at the Old Vic. 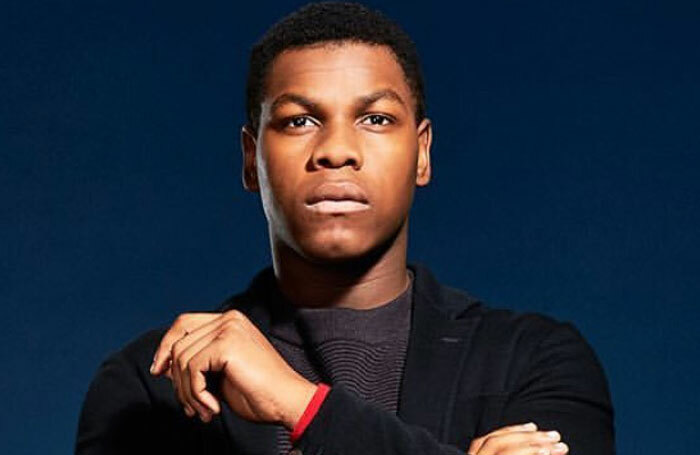 In the intervening years, Boyega has become a globally recognised film star thanks to his leading role as Finn in Star Wars: The Force Awakens, the seventh film in the Star Wars franchise. The eighth instalment, The Last Jedi, will be released on December 15, in which he reprises that role. Before that, he has a leading role in director Kathryn Bigelow’s new film Detroit (due for release on August 4) and he has also starred in and is a co-producer of Pacific Rim: Uprising, which will be released next February. But returning to theatre is a homecoming in more senses than one: not only does it bring him back to his performing roots – he started acting aged nine with a youth company called Theatre Peckham, not far from the Old Vic – but also to his home town of London. Why Woyzeck? “It’s a great chance to work on the craft and be a part of a story that is very shocking to me in its content,” he says, sitting in a tiny spartan office on the third floor of the Old Vic, overlooking Waterloo Road. Happily for me, it’s a far cry from the production line of a film junket, in which interviewers are put in front of the stars for five-minute soundbites, and there are no accompanying teams of publicists or stylists. 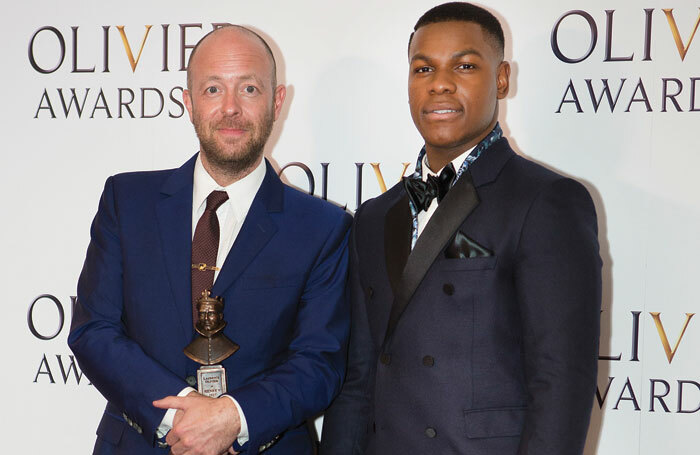 Boyega is refreshingly ordinary, modest and easy-going, breezing into the room in casual but smart rehearsal gear. “This is a homecoming in a sense – coming back to the theatre after eight years, a very long gap,” he says, with a flicker of tentativeness that’s quickly replaced by confidence in his collaborators. “To work with Jack Thorne and Joe Murphy [who have respectively adapted and directed Buchner’s classic play] is a great collaboration in a theatre space. The industry is different to film, so you want to get involved with the creme de la creme of the theatre, and the Old Vic is that. This was demonstrated recently at this very venue when Glenda Jackson played the title role in King Lear, but also in the diversity of its casting. “It’s still about preserving the culture of theatre, but at the same time giving breadth and space for a new audience to come here. 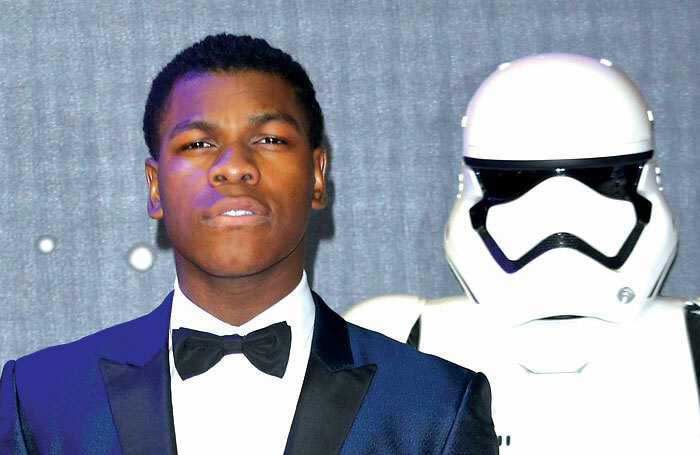 So it feels really good to do that,” says Boyega. Today, he clarifies his response to Jackson’s comments. “I think it was an interesting way of articulating it. But balance and respect have to be taken into consideration. People take out the individuality from a career and box you in with everyone else, saying, ‘The Brits are coming!’ It’s like we call each other and get on the same flights. But we’re all living our own lives, and trying to act, like everyone else. What was your first job? I did a whole bunch of stuff. I worked as an assistant at Theatro Technis in Mornington Crescent and worked as a model for stock shoots for brochures. What do you wish someone had told you when you were starting out? Increase your work ethic. It doesn’t hurt to be open to that. And be open to challenges. And lose some weight! To a certain extent, I enjoy being chubby. But in terms of the roles I’m taking on now, fitness is required. I have a trainer who also trains Daniel Craig and Chris Pratt. Who or what was your biggest influence? Teresa Early at Theatre Peckham, where I started acting; Femi Oguns, my agent, manager and friend; my dad, Pastor Samson Boyega, and obviously my mother too; and Stefan Wade, one of my closest friends, who I live with. What’s your best advice for auditions? Always come prepared and be open to change. You must learn your lines, which is great, but you can over-learn the role. They want to see how the actor fills out a role, and if a director or casting director is present, they may ask for a different approach. If you’re too fixed in what you’re doing, that may throw you a bit. If you hadn’t been an actor, what would you have been? Maybe an architect. Or I’d like to have established my own theatre. Do you have any theatrical superstitions or rituals? No, but I respect them. My roots are in Nigeria, where spiritual things do happen. Of his own return to the stage, he says it came about when his agent called and said it “would be a great moment to do some theatre”. 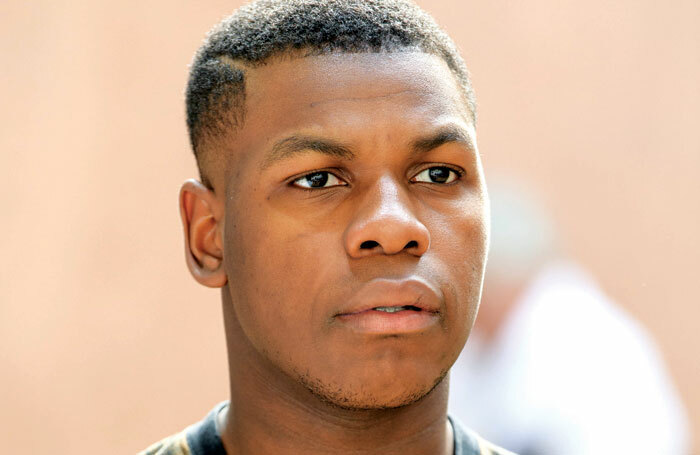 Boyega plays the eponymous young soldier, whose gradual dehumanisation by the system drives him to madness and murder. Buchner never completed it, which means that every version is different. This one is relocated to 1980s Berlin, where the Cold War rages and the world sits at a crossroads between capitalism and communism. It’s not an easy play. What has he learned so far about theatre from doing this? “I’m always trying to find levels of contrast within a role, and theatre has for me a certain style you need to follow and a certain way you need to project. There are all these things you need to think about, but once you get past the technical elements of it, like diction, you’re free. He previously scaled the dramatic heights of the stage as a teenager, when he played the title role of Othello at 17 and again when at South Thames College in Wandsworth, studying for a national diploma in the performing arts. Mellow though he says he is today, you sense the ambition and urgency that has brought him this far this fast. 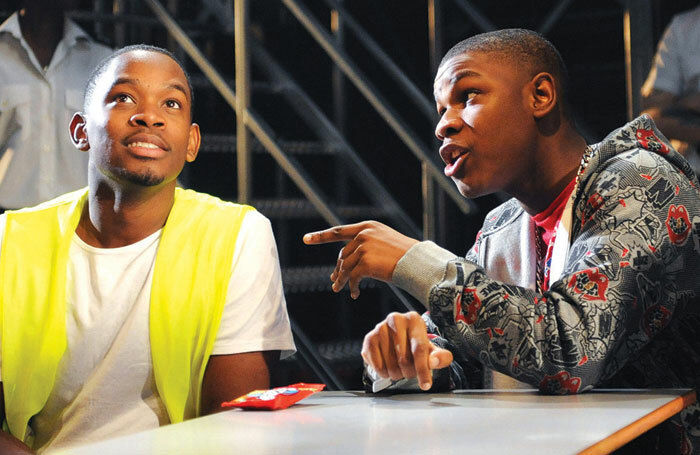 While Boyega was still at South Thames College, he was cast in the British film Attack the Block. Its director Joe Cornish cast him after he saw him in the play at the Tricycle. Attack the Block, for which he was nominated for a number of awards, including the Evening Standard British Film Award for most promising newcomer and the London Film Critics’ Circle Award for young British performer of the year, proved to be a calling card for him to chance his luck in LA. Attack the Block led indirectly to his casting in Star Wars, after the wife of its director JJ Abrams saw it and recommended him to her husband. Today he’s a recognised commodity and a celebrity. Does fame have a price?